Policy making, strategic and tactical planning, business development, risk management, quality control and organizational development. ROI & profit analysis / forecasting expense control. Financial statement preparation for internal and external purposes – We will email you timely financial management reports that allow you to keep up with the day-to-day finances of your business. Bank reconciliations – We will reconcile your business checking account to be able to identify lost checks and deposits, detect and prevent unauthorized bank charges, and to have an accurate reading of your company’s financial health. Timesheet data entry – We will examine, enter and maintain your employee timesheet information. Expense account entries – We will examine and enter receipts from all of your expense accounts. Customized spreadsheets – We will customize spreadsheets to your exact specifications. Sales tax calculation and reports – We will calculate the correct amount of sales tax and provide you with monthly or quarterly reports. Project management is the discipline of planning, organizing, and managing resources to bring about the successful completion of specific project goals and objectives. 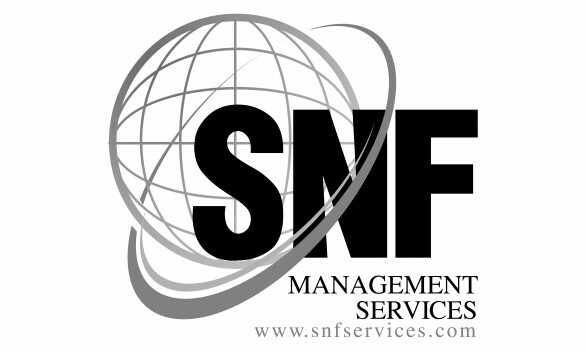 Allow SNF to assist your business with those complex projects so you are able to do more of what you desire. Recruiting selection, placement, orientation, training and development, performance evaluation, employee relations, disciplining, salary and benefits administration, creation and implementation of policy and procedure manuals. Ensure compliance with ERISA, FLMA, ADA, FSLA, ADA and EEOC requirements and rulings. We will ensure you have knowledge of state and federal laws that govern employment, affirmative action and wage and hour. We will effectively manage the collections process, including identification of areas for improving processes, implementing best practices and metrics to track performance management, and supervision of staff, including mentoring, training and reviews. We can prepare documents, address complaints of customers or staff, enforcing quality control standards and performing audits, negotiating and following up on payment arrangements or finding missing clients or tracking down missing client information. Allow us to create and promote a positive image for you and/or company. We will arrange and direct speaking engagements, press conferences, meetings and conventions, films or videos, and fundraising campaigns. Risk management is the central part of any organizations strategic management. We will audit the different functions of your organization and find risks. Our focus will be the identification and treatment of these risks. We can come to you to have your documents notarized.